Giveffect for Habitat for Humanity affiliates - Powerful Database, Volunteer, Donations and Fundraising Management Software - Giveffect, Inc. 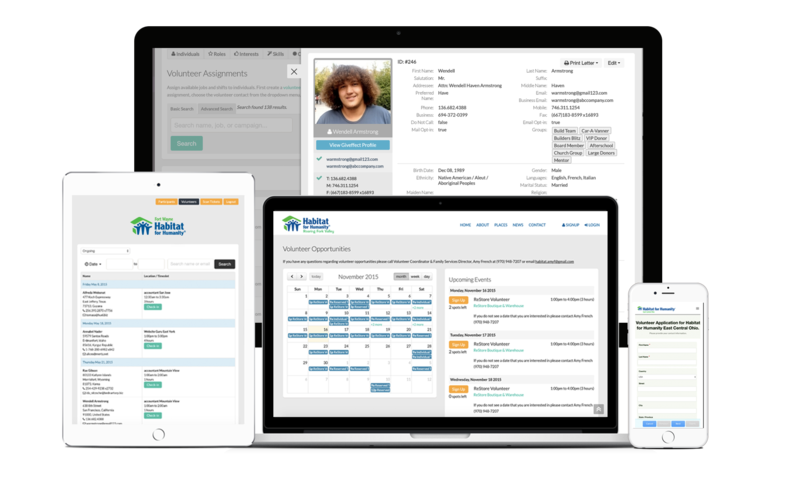 Does your Habitat for Humanity affiliate qualify for free Data Migration? Qualified Habitat for Humanity affiliates were using Keystone, eTapestry, DonorPerfect, Raiser’s Edge, CiviCRM, Salsa, Paypal, VolunteerHub, Volunteer Matrix, Volgistics or Excel. Bring all your Habitat activities online, then automate the paperwork. 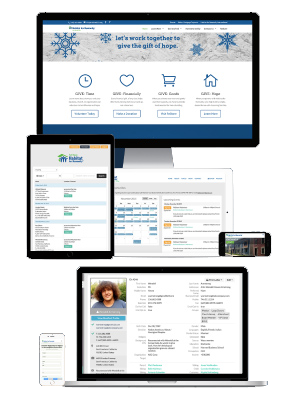 We connect your volunteers, homeowners, partner families, donors, contacts and host your volunteers, homeowners, donors, contacts, fundraisers and more. In summary, these are the departments that use the Giveffect system: mortgage management, business office, marketing and communications, volunteer and community outreach, family partnerships, and pretty soon, Habitat ReStore. Experience a radically better way to manage your Habitat affiliate. Overall we are very pleased with Giveffect. Support has been helpful and knowledgeable. The system is very easy to use and produces all the information we need with little work for the user. The video tutorials are very helpful as well! Engage with your volunteers, and we'll manage the rest. Tap into your network of donors, volunteers, sponsors and supporters in an engaging way. 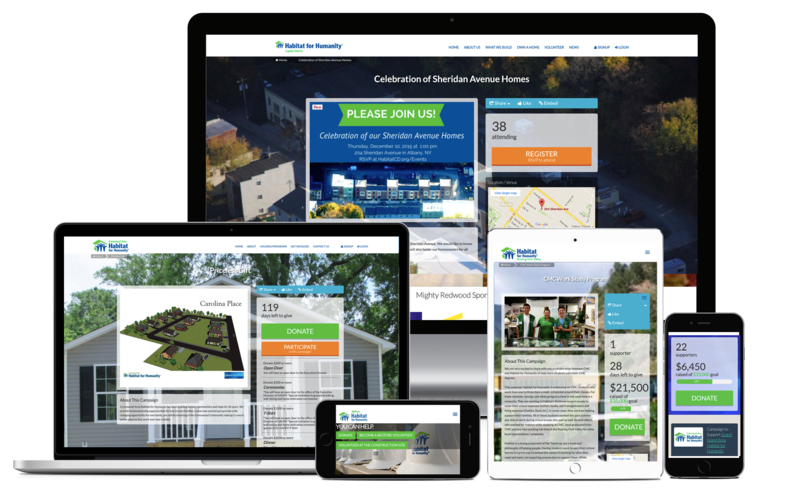 H4H Capital District: RSVP Page - "Celebration of Sheridan Avenue Homes"
H4H Roaring Fork Valley: Donations Page - "CMC Work Study Program"
H4H Greenwood Area: Crowdfunding/Peer-to-Peer Fundraiser - "Carolina Place - Priceless Gift"
H4H Grand Island: Peer-to-Peer Fundraiser - "Mr. Habitat Pageant"
H4H Lake Agassiz: Team Fundraiser - "2016 Tour de Habitat"
your customer service being superb as it is!" "We’re trying to use Giveffect for everything. We want to spend responsible dollars to do as much as we can in every aspect of our Habitat, especially in software. In summary, these are the departments that use the Giveffect system: mortgage management, business office, marketing and communications, volunteer and community outreach, family partnerships, and pretty soon, Habitat ReStore."